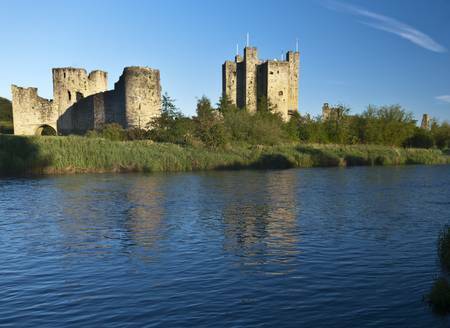 Trim Castle from the River Boyne north bank. On the left is the Dublin Gate barbican tower at the southern curtain wall. The tower with lightening rods is the keep, of an cruciform shape with 20 corners designed for tactical defense.